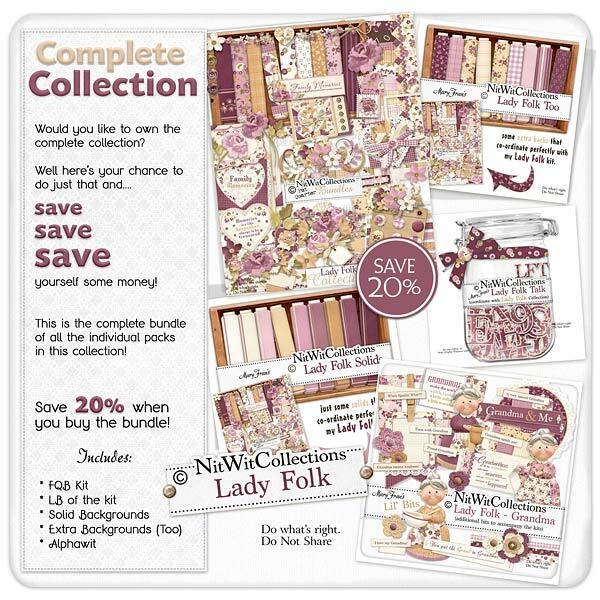 "Lady Folk" Collection is a vintage digital kit for the ladies in your life. Memories may be all we have left of them and we wanted to give you a kit that matches their era. Lace in the borders, floral bouquets that they perhaps grew in their own garden and embroidered elements....all the things that we remember. This kit would be perfect for your Mom, favorite aunt or even grandmother if you also pick up the Lil Bits Lady Folk Grandma. Whether they are still with you or have passed on remember them today because we know you're thinking of them!